One of my pet hates is folk who do not wear their helmets correctly. 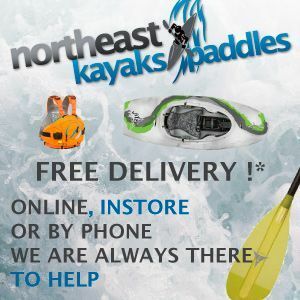 That goes for cyclists, climbers, paddlers, whoever. The main purpose of any helmet is to prevent the wearer being severly injured if they hit their head. Helmets and fit is an important concept. If the helmet doesn’t fit well and/or is worn incorrectly then it is not going to give you the maximum amount of protection it possibly can. It is also possible that a poorly fitting helmet can create hot spots or headaches. I have no scientific basis for this but whilst paddling I belive that you are most likely to receive a hit to either the front or side of the head. It is therefore your forehead and temples that are at greatest risk. 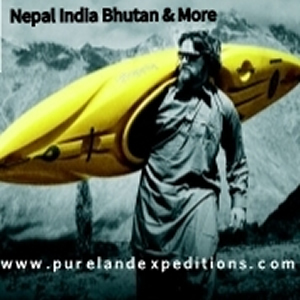 Getting the outfitting of any piece of kit is pretty critical. 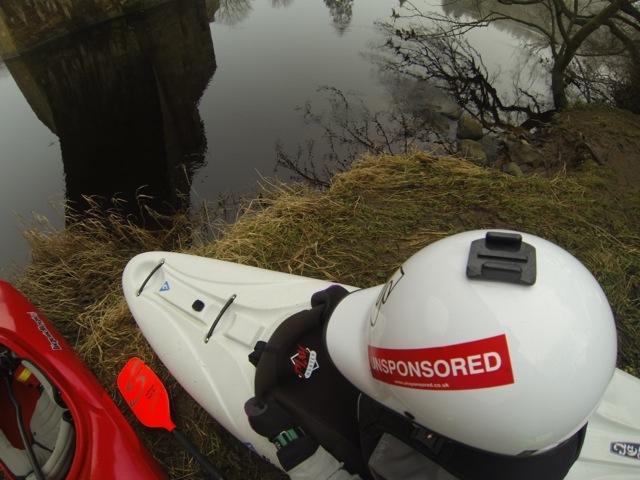 We take lots of care and attention padding out our boats but often neglect the kayak helmets we wear. I have seen many examples of helmets being slung way back exposing the wearers forehead and have often wondered how these paddlers would fare if their head were to be struck by a rock whilst they were capsized. It’s going to hurt at the least. Not all helmets and not all heads are compatible. It is important that when you select a helmet that you choose one on the basis of best fit. The helmet that is right for me may not be the one that is right for you. The most expensive may not be the best. When worn correctly a helmet should sit just above your eyebrows. If your forehead is exposed you are either wearing the helmet incorrectly or it doesn’t fit. Most helmets come supplied with some form of additional padding so you can tweak the fit. This is usually closed cell foam or a series of padded shims. Helmets used by clubs sometimes have a plastic cradle that can be adjusted to fit a range of head sizes. With a little bit of effort it is fairly simple to get a good fit. Obviously the first thing to do with a new lid is to try it on and see how it fits and to try and identify which areas need additional padding if any. Usually some additional padding is need at the sides and/or front/back. I like to take care of the sides of the helmet first as this tends to be the easiest part to tackle. I usually take some of the extra padding that is supplied with a helmet and place it inside of the hat to get a feel as to whether or not it’ll do the job. 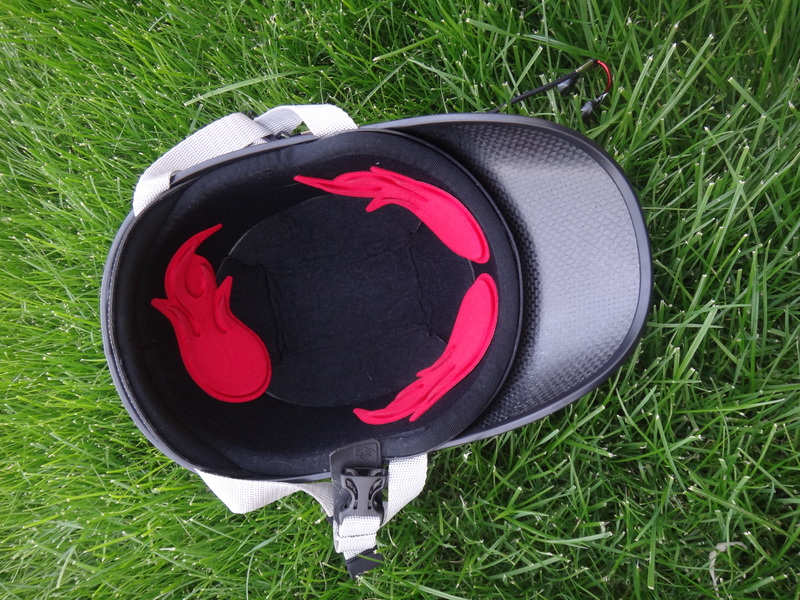 Sweet and Shred Ready helmets have additional pads/shims can be infinitely adjusted and removed as they are held in place using a velcro system. 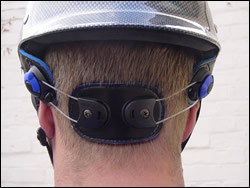 Other helmet manufacturers may use pads that utilise double sided to tape to hold the pad in place. If this is the case when I am getting the outfitting right I like to hold the foam in place while I try the different setups I tend to use electrical tape or even small pieces of blutak, it doesn’t stick to well to foam so shouldn’t damage the foam liner or the padding you’re trying out. I refrain from sticking anything in at this stage because if I need to rip it out it may damage the liner. I tend to start with the sides of the hat as they tend to be the easiest to sort out. Once I’m happy with the fit I stick the foam in place and then tackle the front and/or back of the lid in a similar fashion. Ideally when the chin strap is loose the lid should neither roll from side to side or from front to back. The front to back roll is a common problem and can be seen when paddlers roll-up and then have to adjust there lids back into position. Many of the more modern helmets have design features that aim to minimise the risk of this occurring. 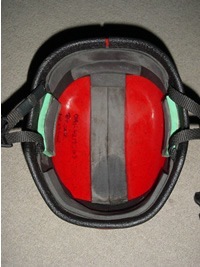 Positioning a piece of foam or shim in certain positions within the helmet can also achieve the same effect. Cwm Llan – Do It Before The Hydro Spoils It. Too few helmets seem to protect the most vulnerable point on the head; the back where the base of the skull meets the spine, one hard knock there and its game over. Too many helmets these days seem to be designed with fashion in mind rather than safety. Too many of us buy helmets because they look good instead of checking they offer the best protection. Most hits I have gotten have been to the back of my head. That is why I wear a fullcut Sweet Rocker. Some years ago I did some research on “cool” looking paddling helmets and how this could be brought over to climbing. 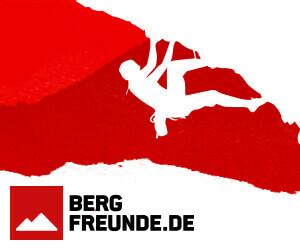 Reading the testing standards and having a couple of kayaking helmets tested to climbing standard I was pretty shocked. A paddling helmet gives little more protection than basic bump cap and the main emphasis of the test was that it doesn’t fall off your head. If I wore the paddling helmet I put through the test and received a hit on the head that a climbing helmet must pass I would have broken my neck. The helmet looked untouched, no cracks or dents on the shell but very little of impact was absorbed by the helmet, but was transferred straight to the manikin. 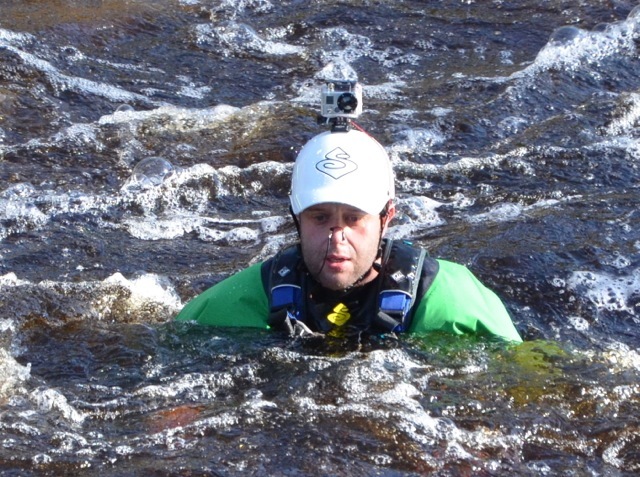 I have seen quite a few paddlers use their paddling helmets when they go climbing…. please, please use a climbing helmet. Is there a make that do a larger size ? None of these are big enough for me..63cm head size.